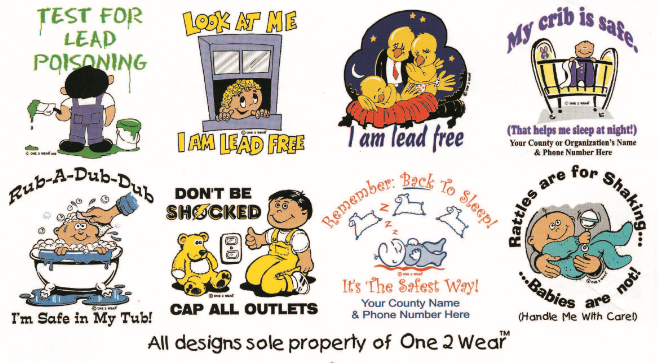 Our One2Wear™ baby bibs are manufactured from 100% cotton terry with a leak proof vinyl backing. These heavyweight bibs are completely machine washable-ensuring that your message will always be visible. Below you will find a sampling of some of our most popular baby bib designs. Our bibs have been successfully used in a variety of programs. Please click on a link below to view campaign-specific designs. 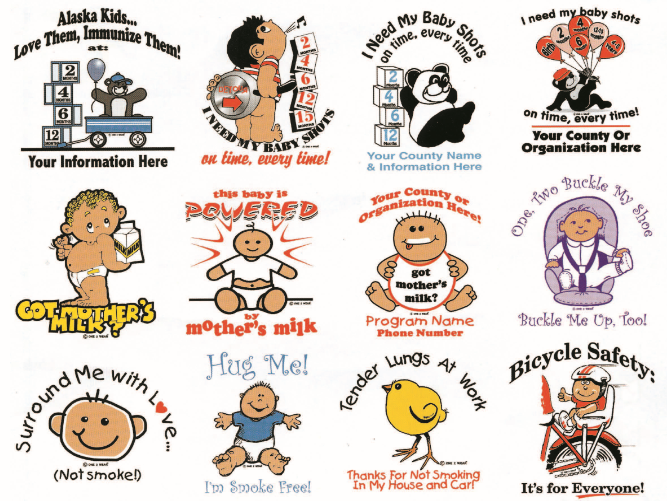 Below is a sampling of some of our most popular bib designs.